You are dedicated to the success of your beef herd. Why not work with a company that is as dedicated to their client’s success? At Crystal Creek®, we realize that offering high quality products is just part of the equation to ensuring the success of any nutritional program. 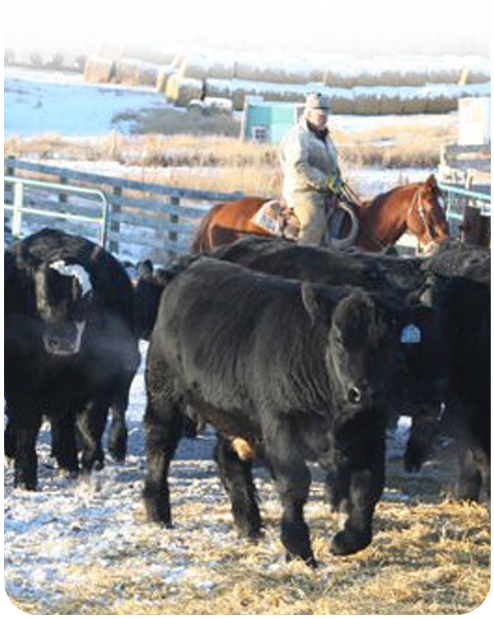 That is why when you use the Crystal Creek® Beef Nutrition Program, you gain access to our dedicated team of livestock specialists, ruminant nutritionists and large animal veterinarian…all with a singular purpose of helping your herd become more healthy, efficient and profitable. Meet our experienced staff. They are here to help you meet your beef herd’s goals. Our nutritionists work with you to utilize your forages and maximize your operation’s efficiency and profitability. Every beef herd is different and it is important to work with a nutrition team that understands every operation faces different challenges and has its own unique set of goals. Our nutritionists take the time to listen to each producer and understand their goals and challenges; that way they can formulate a ration that is customized for that herd’s needs. Crystal Creek® provides free ration balancing and nutritional consulting services with qualifying mineral purchases.